Enter to win a paperback copy (US & Canada) or an ebook (International) of True Love Way below. Remember I also have a giveaway going on for Escape from Camp 14 by Blaine Harden. 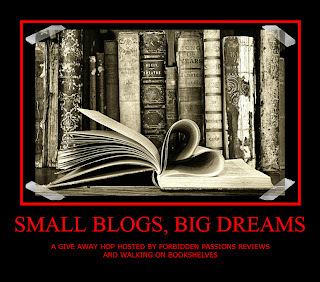 Visit other blogs in the Small Blogs, Big Dreams Blog Hop for more great giveaways. I loved the original Dark Shadows, though I'm very upset with the way the movie looks. It's not at all like the show. I'm in the US. Kudos to you for embedding video on your blog...I'm impressed! Now that I know the description of True Love Way, I definitely want to read it! I've always loved I Love Lucy episodes. They were so funny given the era of their popularity. I would love a paperback version of True Love Way (live in USA). My all time favorite oldie is the movie The Incredible Mr. Limpett with Don Knotts. it was so sweet and funny. 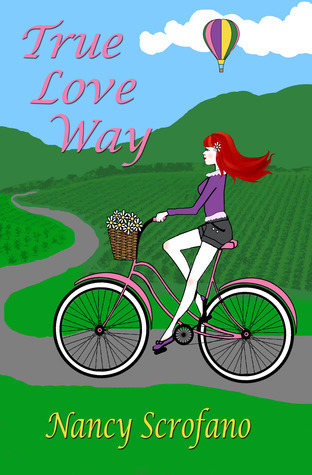 I would love a paperback version of True Love Way if I am lucky!! Sorry I can't follow in FB or like blog post on FB. Am having trouble staying logged in.Keeps kicking me off. My favorite old movie is Gone With The Wind! I live in the U.S so paperback! I love Breakfast at Tiffany's. I'm in the US. I love to watch Andy Griffith and I would choose the paperback! My favorite old movie is The Unsinkable Molly Brown. As kids, my mom would wake up my baby bro and I to watch movies on tv that were "classics". This was a favorite!